Monday, May 5, 10:00 a.m. – 11:30 a.m. at Laney College, Room D100. Lecture demonstration at noon – 1:00 p.m., Odell Johnson Performing Arts Center. For more details, contact Priya Shah at vshah@peralta.edu. You are invited to attend an exciting collaboration between the Laney College Dance Department and the Oakland Ballet Company. 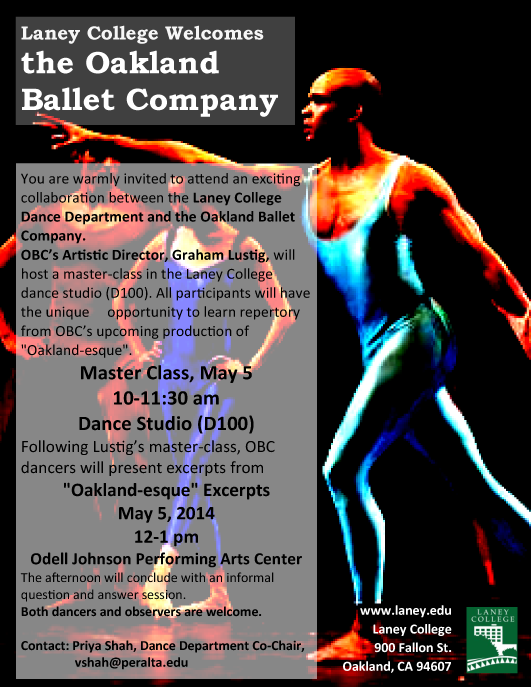 OBC’s Artistic Director, Graham Lustig, will host a master-class in the Laney College dance studio (D100) on May 5, 2014 (10-11:30am); all participants will have the unique opportunity to learn repertory from OBC’s upcoming production of “Oakland-esque”. Following Lustig’s master-class, OBC dancers will present excerpts from “Oakland-esque” in the Odell Johnson Performing Arts Center (noon-1pm). The afternoon will conclude with an informal question and answer session. 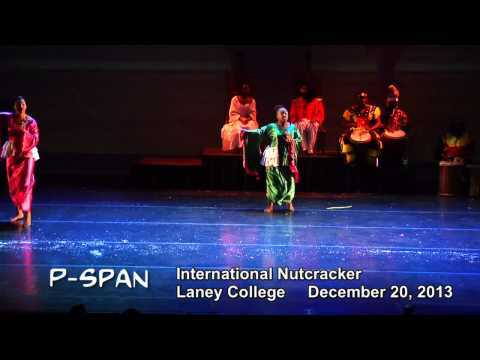 Laney College’s Dance Department presented “Nutcracker International”, a new take on the classic ballet. Artistic Director Priya Shah worked with several Choreographers to create a home-grown Nutcracker centered in Oakland, California.